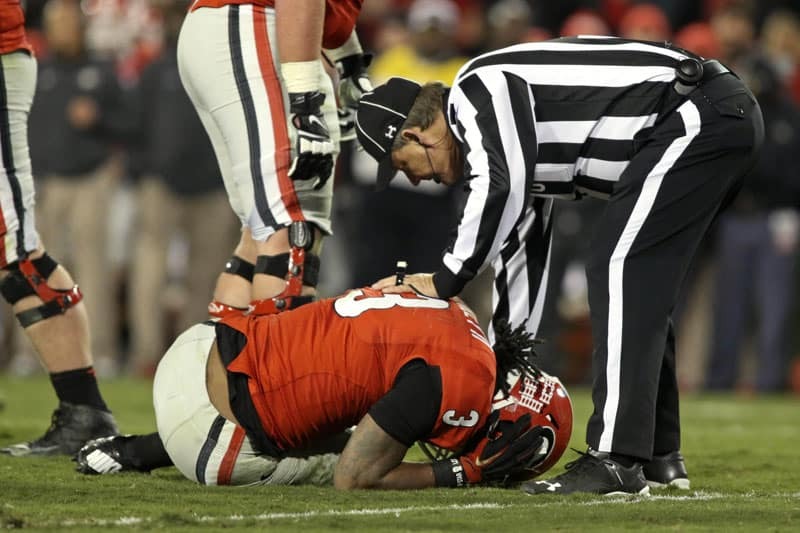 UGA has officially announced that Todd Gurley tore his ACL in the fourth quarter of the game against Auburn. An MRI on his knee was conducted today. An MRI performed Sunday on University of Georgia junior tailback Todd Gurley confirmed a torn ACL. The injury occurred in the fourth quarter of Saturday’s victory over Auburn. A surgery date has not yet been determined according to UGA Director of Sports Medicine Ron Courson. Gurley’s season is finished and his career at UGA is likely over. That is, unless he decides to rehab in Athens, redshirt, and play in 2016. But that’s highly unlikely. He was already likely to enter the NFL Draft next season, but the knee injury will likely cause him to drop. Before leaving the game last night, Gurley rushed for 138 yards on 29 carries and a touchdown. In his three seasons in Athens, he rushed 510 times for 3,285 yards (6.44 ypc) and 36 touchdowns. He also caught 65 passes for 615 yards and six TD’s. Barring a return, Gurley will finish his career at UGA as the Bulldogs’ second-leading rusher all-time behind Herschel Walker.